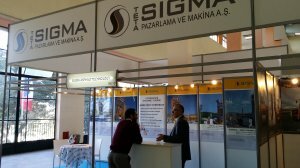 SIGMA has exhibited in SITP 2014 exhibition between 19-23 November in Algiers/Algeria. Our sales team welcomed guests at the SIGMA stand in Concorde Hall. Please fill the contact form or call us for further information about SIGMA asphalt plants.